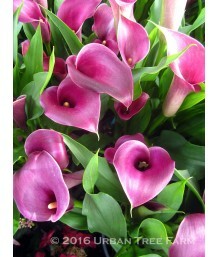 Calla LilyPerennial from bulb. Large, green, fleshy leaves rise directly from the rhizomes. Extremel..
California FuchsiaDeciduous perennial. 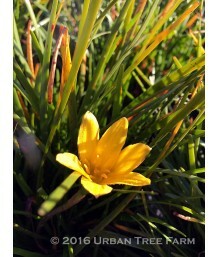 Despite the common name, not native to California. 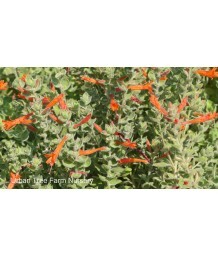 Fuzzy gree..
California FuchsiaDeciduous perennial. California native. 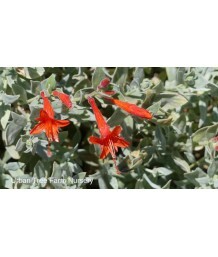 Fuzzy green-gray foliage creates tight mou..
California FuchsiaDeciduous perennial. California native. Fuzzy, silvery, nearly white foliage forms..
California FuchsiaDeciduous perennial. California native. Fuzzy silvery, nearly white foliage forms ..
California FuchsiaDeciduous perennial. California native. Fuzzy, broad, green-gray foliage creates t..
California Humboldt County FuchsiaDeciduous perennial. California native. 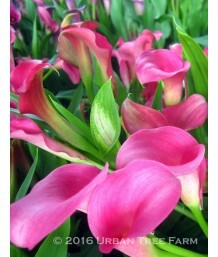 Foliage has a metallic sil..
Coral/Peach Rain LilyEvergreen perennial from bulb. Green, fleshy, rush-like clumping foliage. 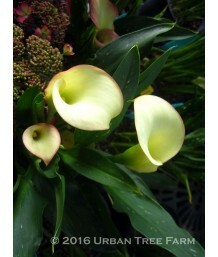 Soft ..
White Fairy LilyEvergreen perennial from bulb. Green, fleshy, rush-like clumping foliage. White tubu..
Yellow Rain LilyEvergreen perennial from bulb. Green, fleshy, rush-like clumping foliage. Yellow tub..
LantanaREMOVE FROM WEBSITE Botanical Name: Lantana montevidensis 'Purple Trailing'Common Name: Lant..